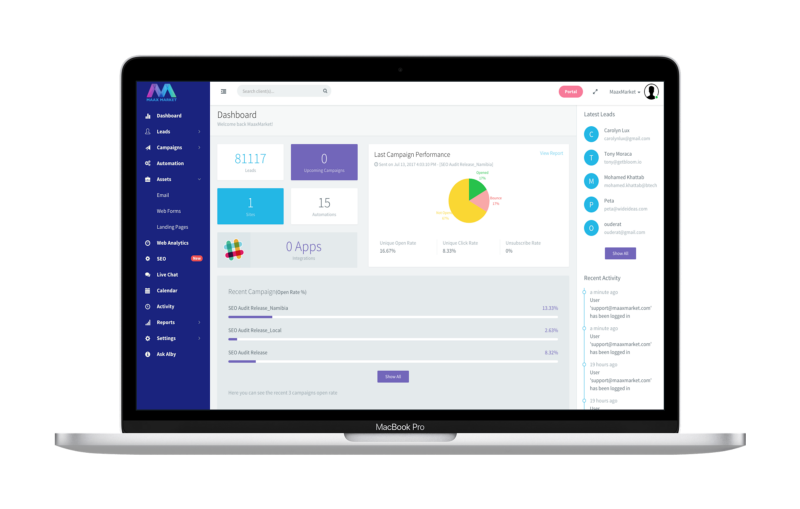 MaaxMarket is an artificial intelligence platform designed to help small businesses with their marketing. It comes with integrated email marketing, social media publishing & listening tools, real-time website visitor tracking, collaboration tools & more. Apart from you getting the benefit of seeing a snapshot of all your marketing activities on one platform, it has an AI engine that will analyze your marketing data and gives suggestions on what works in your digital marketing. The AI engine uses Natural Language Processing to understand your marketing requests and execute marketing campaigns easily and effectively. Kevin William David interviewed Thileepan Sivanandham, CTO at MaaxMarket to know more. So tell us about MaaxMarket? 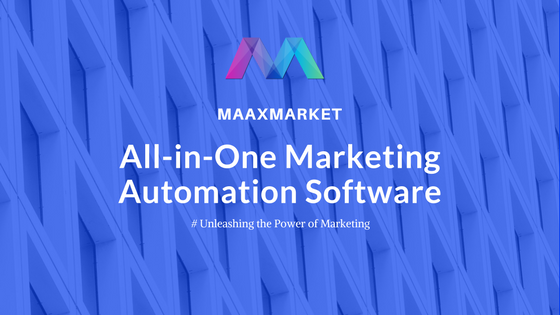 MaaxMarket is an All-in-One marketing automation platform which helps businesses to automate their online marketing activities and provide a complete marketing package to kick start their business. We provide all the marketing tools in one simple to use platform with an artificial intelligence engine that helps to drive better result from marketing and boost the sales. We are trying to solve 3 major problems. There are hundreds of digital marketing tools out there making it very difficult for small businesses. There is a big need for a comprehensive marketing platform — all-in-one marketing product that has email marketing, social media marketing, web analytics, live chat, SEO, web forms, landing page and multi-channel drip automation. Not affordable for small and medium-sized businesses. Only less than 40% of B2B companies adapted to marketing automation because the product is too expensive for small and medium-sized businesses. How is MaaxMarket different from what already exists in the market? At MaaxMarket, we built all the tools (Email Marketing, Social Media, Live chat, Web Analytics, Forms, Landing Page and SEO) into single platform which is great and on top of it, we built the artificial intelligence “Alby” to give a better insight to act on every lead at right stage. It gives more opportunities to convert the leads into customers. Our primary competitors are Hubspot, Marketo and Act-on. We want to differentiate ourself by building a great product that should execute the marketing campaigns themselves without even a marketing manager. Who uses MaaxMarket? What types of roles do your customers have at their companies? Brandzooka — It is an easy-to-use, self-service video advertising platform. Patientory — Free and easy way to store and manage your health information and get the best answer to any healthcare question. Felixclarke — White Label Digital Services for Marketing and PR Consultants. How are your customers using MaaxMarket? Could you share a few different use cases? Customers are using MaaxMarket to bring the end-to-end automated marketing solution to capture the leads and convert them into customers. Direct Business — Everything starts from capturing the leads through web forms to convert them into paying customers. After the leads enter into our system, they will set up either drip or nurture campaign to automate the email communication with leads and increase the conversion opportunity. They also establish the communication with leads via Twitter, Facebook, and SMS using multi-channel automation. 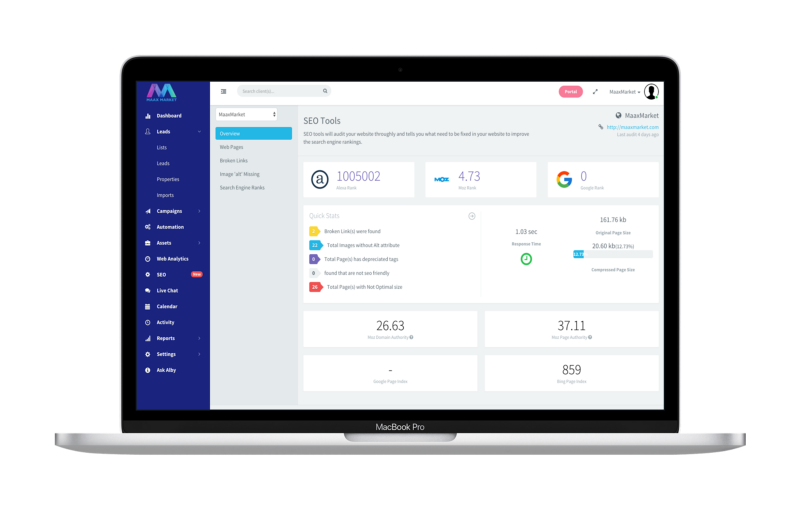 Marketing Agencies — They are using MaaxMarket to offer digital marketing services to their clients from a centralized dashboard using a brand new Agency Portal. They will use the portal to provision the new client and manage their marketing campaigns. Have there been unique use cases for MaaxMarket that you hadn’t thought of or expected? Yes, it’s SEO tool. We never been thought anything to build SEO tool into the Marketing Automation Platform. When we were trying to solve our own problem in SEO, we end up with multiple small tools to identify the potential SEO issues. That’s the moment, we decided to build our own SEO tool. In next few weeks, we built it and launched in ProductHunt and the response was amazing. We build few additional tools related to marketing which helps to drive more traffic to MaaxMarket. Some of them are Lead Calculator and Seo Audit. Our biggest challenge is on creating a go-to marketing strategy. The product was ready but we didn’t know the tactics to send the message across the noise. Later, we hacked it by building few additional tools for businesses to help them in marketing for free and which drives organic traffic to the website and increases the conversion. Currently, we do have integration with Slack, Twilio, FullContact and Gmail. Our Gmail integration was a game changer. Usually, marketing people love to send an email which should look like more personal from their inbox. The Gmail integration with MaaxMarket solves this problem. With Gmail integration, outreach emails will send directly via their Gmail account and it looks like a one-to-one communication. Before we finish, what are the top products that you depend on to run the company & how do you use them? Microsoft Azure — Our cloud infrastructure builds on top of Microsoft platform. I would say that Without Microsoft Azure, we can’t build our business. A great resource for Startups to go to production from development. Easy to manage all the servers from a centralized dashboard. Slack — All our team communication are happening within Slack. We like Slack because of it’s simplicity. We can’t imagine a day without Slack. G Suite — Emails, Docs, Sheets, Presentation are on GSuite. We are sending out and receiving hundreds of emails daily and all are happening only by GApps. The only reason is that easy to use. FreshSales — We simply love all the product from FreshWorks. We use FreshSales CRM to manage our sales pipeline as it allows us to track the progress of deals, meetings, and tasks. Stripe/Chargebee— All customer payments are handled by Stripe and Chargebee. Stripe and Chargebee both are a great addon for startups to just jump into make revenue without spending much time on setting up the payment gateways. Note: The article was originally published on Siftery. Richardson Harry is the Digital Marketing Expert for Maax Market Inc, a company that provides all in one Marketing Automation Software for businesses.